Everyone knows that Botox is great for treating wrinkles, and more people are learning that it’s great for more than that; Botulinum Toxin Type A has been proven effective in treating muscle disorders, migraines, and excessive sweating. 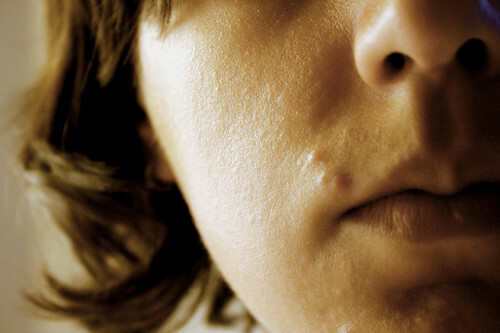 It may not shock you, then, to learn that Botox is being proposed to treat another common skin ailment – acne. Dr. Anil R. Shah, MD, of Chicago, recently published a study suggesting Botox can be used to treat the issue, and swears by it himself. According to his method, instead of injecting botulinum toxin into the muscle, one instead injects it into the skin. He says this treats sebum (aka oil) production and large pores, thus reducing the number of breakouts. Now, this doesn’t mean you should seek out Botox right away to zap those zits. This is only one study, and further research and testing would need to be conducted before anyone will be thinking of using Botox against pimples on a broad scale. In the meantime, laser and light treatments are available for adults with skin problems they can’t handle alone, as well as chemical peels and microdermabrasion. « Face and Neck Exercises – The Next Big Trend?